This hasn't been one of the easier weeks for me. I had wonderful plans of a great post with recipes for dinner for two and I made half of it last week, which is pretty unromantic. :) And so, I will give you that post tomorrow - after I finish the other two recipes for it! It will be a great meal perfect for a Valentine's Dinner at home. 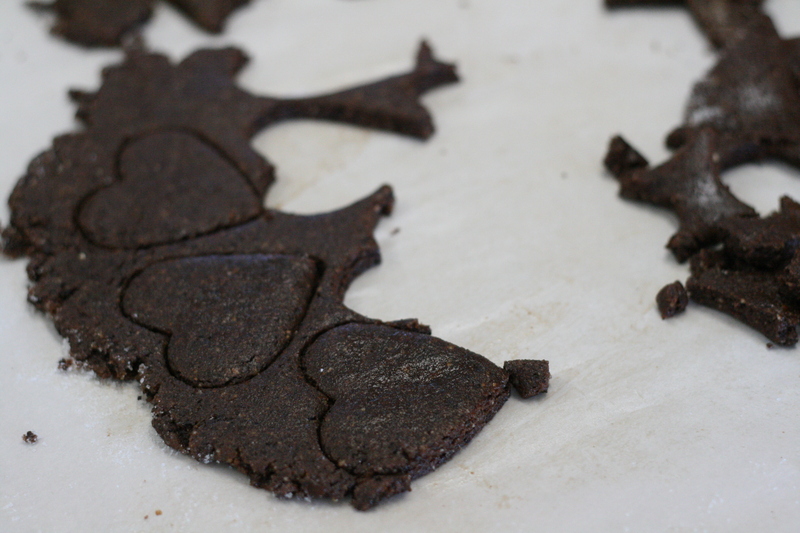 So today, Heather is sharing a gluten-free cookie recipe! These cookies are a perfect Valentine's treat for those who are gluten-free (and will be very tempting for those who are not!). They are intensely chocolate with a delightful almond flavor and a fudgy sort of texture. Place the chocolate in a food processor and process until finely ground. Add the ground almonds and 3/4 cup sugar and pulse a few times to combine. Add the kirsch and 2 Tbsp. of water and pulse until the dough starts to hold together. If it's too crumbly, add up to one tablespoon more water. When you squeeze the dough it should stick together. Sprinkle a clean work surface with sugar. Working with half the dough at a time, place it on the sugar and roll it out to about 1/3-inch thickness. Sprinkle the dough with a little sugar if the rolling pin sticks to it. Using a cookie cutter, stamp out hearts. 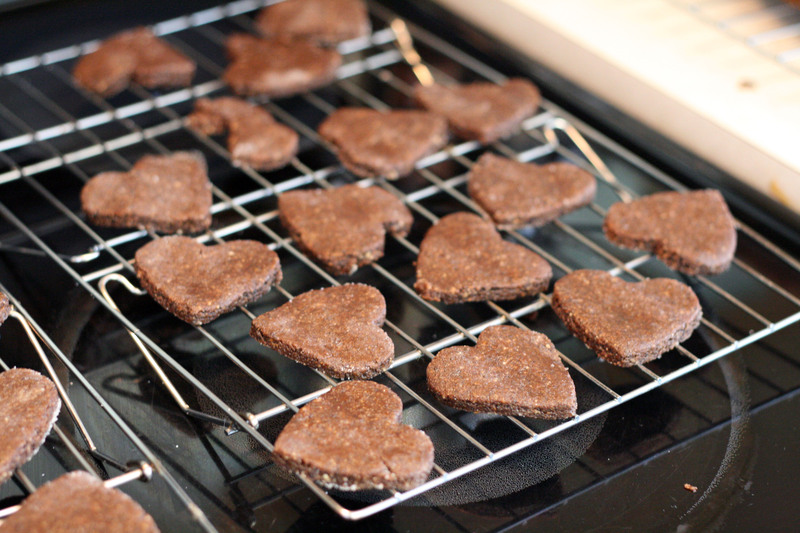 Transfer hearts to a cooling rack. Reroll the scraps with the remaining dough. Let the cookies dry on the rack overnight to firm up. Store, layered between sheets of wax paper, in an airtight container for up to 2 weeks; or freeze for up to 3 months. Sorry to bother you but almonds are sometimes hard to come by (and expensive!) over here so can I substitute with another nut? I would suggest trying hazelnuts (which I find hard to come by here in my city). Pecan meal is often used in cakes, so it may also be something that might work, but I feel like hazelnut would be my first choice. Extremely interesting blog post thanks for sharing I just added your website to my favorites and will be back :) By the way this is a little off topic but I really like your blogs layout. great stuff. Do you have an RSS feed? And also would it be cool if I put in your feed to a blog of mine? I have a website which draws content via RSS feeds by a few sites and I'd like to add yours, the majority of people do not mind given that I link back and everything but I like to get consent first. Anyhow let me know if you can, thank you.